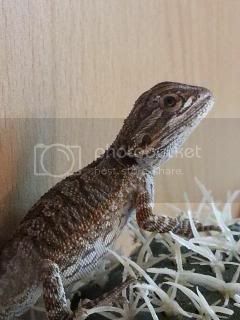 has anyone tried letting their beardie listen to some nice soft classical music just at low volume ? ive noticed that when i put music on just as a background noise my beardies seem to perk up and come to the glass ! or maybe its just me who know's . They've got pretty reasonable hearing so I'm not surprised that they will react differently according to the sounds they hear. amy winehouse eh ! i'll have to try playing some of her music see what happens ..